This is a series of articles introducing Traditional Chinese Medicine (TCM), especially its herbal therapy. It is designed for those acupuncturists, who have no access to the TCM books since they do not speak Chinese, but who have desire to increase their skill level of Chinese herbal therapy. If you speak Chinese, and if you have no interests to read more articles about TCM herbal therapy since you believe that you already know all the knowledge about TCM from your TCM text book, you can stop now and click the “unsubscribe” button below. We will no longer bother you in future. The series of articles will start from the introduction of our TCM bible Shanghan Lun. Later we will introduce the use of the herbal formula in this book, which we call it Jing Fang (it means the principle of herbal formula), as well as some commonly used conventional herbal formula. The information here is the summary of the experience of the author during his own study of the book, and also the experience of other famous TCM doctor in the use of the Jing Fang. The author feels worthwhile to share his experiences with those who want to learn more about Chinese medicine. The author would feel pity that his experience is lost after his soon retirement. Many Jing Fang, such as Da Qinglong Tang, would have no much chance to be used in clinic, if we only learn how to use them from the book Shanghan Lun or from TCM text book. Many TCM doctors may use such formula only several times through his whole life in clinic work. However, it has been used very common in our clinic. We are in Edmonton, the northwest of Canada. The main indication for using this herbal formula is the “Cold folds Fire”. It means that the body is cold syndrome in the outside layer of the body, but hot inside. People live in the north of the Canada (even in China, or on the whole earth), tend to be such body constitution.（People live in the south of the earth tend to be “Fire folds Cold”, e.g. outside of the body is hot but inside is cold）. Many times, for a patient who suffers from a syndrome which is typically diagnosed as Wind-hotness syndrome and needs the herbal formula - Yin Qiao San for the treatment. However, we use Da Qinglong Tang. It works much faster. The illness consistently gets better. We believe that there are different disease patterns in different parts of the earth, for the different weathers, different life styles, etc. ; therefore there should have different patterns of herbal therapies, e.g. some herbal formulae would be used more frequently than others. For example, the weather in Vancouver is humid, warm, and windy. There is more Dample-hotness syndrome, so the doctors need to use more Cold and wet-removing herbs for the treatment. In our city - Edmonton, the weather is cold and dry. We use more warm herbs, such as formula Guizhi Tang, Mahuang jia Zhu Tang, Guizhi Fuzi Tang, Fuzi Tang, etc. Our aim here is to share such experiences, thus increase the healing level of TCM doctors. There are several major styles of Traditional Chinese medicine. The TCM here mostly means the Chinese herbal therapy of the TCM system. For example, we have Jing Fang style, conventional style, and college style, etc. As a professional TCM doctor or an acupuncturist, you should know that what you learn from TCM school is not the whole TCM. What you learnt in school is only an information mixture of TCM from various TCM sources. (1). The Jing Fang style. This is the TCM style that based on the TCM book Shang Han Lun. This book is regarded as our TCM holy bible. This book focuses on the treatment of diseases that are caused by the Wind- and Cold-attack, which we call Shanghan disease, though it actually also introduced the principles for the diagnosis and treatment for the diseases caused by the Wind- and Hotness-attack, which we call it Wen disease. If a doctor mostly uses the herbal formula from the book Shang Han Lun, we call his style is the Jing Fang style. Jing here means the principle, the bible. Fang means herbal formula. In the Shanghan Lun system, the diseases are separated into six stages. The disease develops from an early stage into further deeper stages. These stages are named Taiyang, Yangming, Shaoyang, Taiyin, Shaoyin and Jueyin stage. Master Zhang Zhongjing called these stages also diseases, such as Taiyang disease, Yangming disease…. and Jueyin disease. In this way, most of clinic problems can be summarized into these six kinds of diseases. It makes the clinic situation much simple and easy to handle. For example, if a patient feels chilly, has pain on the head and neck, and if his pulse is floating, we will say that the patient suffers from Taiyang disease, or we will say that his disease is in the Taiyang stage of the Shanghan disease. If a patient has bitter taste in mouth, dry in throat, and feels dizziness, we will say that the patient has Shaoyang disease, or we will say that his disease in the Shaoyang stage of a Shanghan disease. For the treatment, each disease has a main formula for the treatment. In most cases, the main formula contains only 4 to 6 herbal ingredients. Many herbal ingredients used in the formula, such as Ma Huang, Da Huang, Shi Gao, Fu Zi, etc., are rarely used by TCM doctors in College style (see below). They are afraid to use them, fear of possible side effects. However, in our clinic practice, the side effects from those herbs are not as severe as they think. In this Jing Fang style, its understanding of herbal function appears based on the book Shen Nun Ben Cao Jing, not on the book Ben Cao Gang Mu that is used by College style of TCM. The healing effects from these herbal formulas are excellent indeed, if the diagnosis is correct. If we say that the success rate with the use of these formula are more than 80%, then with the use of herbal formula in other herbal therapy styles might be only 50% to 60%, according to our comparison in clinic practice. The real problem with the Jing Fang style is that it is hard to learn in the beginning. However, once we really understand it, it works very well. In my experience, it should not be studied only from the book itself. We should learn from other doctors’ clinic experiences in the use of this Jiang Fang style. Therefore, once we really understand the way to use such formula for the treatment, it would be easier to feel success in clinic practice. (2). The Wen Being style. This system is a development, not a completely new, from the Shanghan Lun system above. It was introduced by Master Ye Tianshi and Wu Jutong (Qing dynasty). 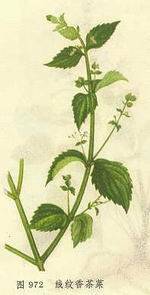 It is the supplementary of the Shanghan Lun in the treatment of epidemic diseases characterized by fever. Wen means hot or fever. Being here means a disease. So, the Wen Being means epidemic diseases that characterized as fever. The Wen Being system bases on Wei Qi Ying Xue and Three Jiao diagnosis system. As mentioned above, it is mostly used with epidemic disease. It is not a commonly used diagnosis system in daily clinic work. (3). The Si Shen Xing Yuan style. It is introduced by Master Huang Yuanyu and further completed and explained by Dr. Peng Ziyi. Si means number four; Shen means sages, and the Xing Yuan means the secret experience in heart. This system focuses more on the Qi movement in the body: its rising and falling and its round circle in the body. The aim of the diagnosis is to find if the problem is due to the block on the way of the Qi rising, or on the way of the Qi falling, or both. It believes that fixing the block and improving the Qi in circle in the body would solve the disease. During the diagnosis, this system pays much more on the pulse. Doctor in this TCM style needs to have very fine feeling on the pulse. In this style, its understanding of the herbal function is somehow different from other TCM styles. (4). Xiao Fang Liao Fa style. Xiao means small; Fang means formula; Liao Fa means therapy. This system treats disease with very little herb ingredients and less amount of ingredients in formula. This style of TCM is developed by Master Guo Zhicheng. Xiao Fang means small formula - using only several herbs and using small doses for each herb. It works to improve body energy movement smoothly in the four cavities of the body (e.g. the chest, the upper belly, the lower belly, and the spine cavity.) It believes that the energy of the body, the Qi, moves in circle from the spine cavity to the lower belly cavity, up to the upper belly cavity, to the chest, and then turns down to the spine cavity again. If there is any blocks in the way of the Qi circle, the person will get sick. To remove the block and to improve the Qi circle in such a way in the body, the disease can be cured. In the treatment, it used only very limited total amount of herbs, say about 20 to 30 kinds of herbs in total. For each formula, it uses only 4, or only 6 herbs, for the treatment. Upon diagnosis, it focuses much more on the tongue. Its understanding on the shape and size of the tongue, as well as the color and the thickness of the tongue covering, is much different from the TCM text book. Its understanding of the herb function is also much more different than any other TCM styles. The Xiang Shu Liao Fa style uses number (1, 2, 3, 4, …) for the treatment. Xiang means a phase, a stage, a status, or a direction. For instance, the spring, the summer, the autumn, and the winter, are different phase, different stage, different status, or a different direction. Shu means number, one, two, three, four… up to ten. Liao Fa means a therapy. The theory behind this style is the five element theory in TCM, in which liver is associated with, connected to, affected by, the figure 4; heart, by figure 3; spleen, 8; lung, 2; kidney, 6; gall bladder, 5; stomach, 7; small intestine, 3; large intestine 1; urinary bladder, 6; and the three Jiao, 3. In the treatment, the patient is asked to patter in heart the numbers. The chose of the number is decided by the nature of the disease and the relationship between the organs that was involved in the diseases. For example, if the disease is diagnose as lung Qi deficiency, the patient is asked to patter 820. The 8 represents the function of Spleen; the 2 represents that of Lung. To patter zero here is to enhance the healing effect. To patter number 8 will improve the function of Spleen, and patter 2 will improve that of Lung. By this way, the function of the lung is improved directly by pattering 2 and indirectly by pattering 8. Therefore, pattering 820 can solve Lung Qi deficiency condition. This is one of the principles in the chose of numbers for the treatment. Apparently, the Xiang Shu Liao Fa does not use any herb at all. It is a completely different therapy in the TCM scope while it still applies the basic concept in the TCM for the diagnosis and treatment. The Shi Fang style of TCM means the conventional TCM style. Doctors in this style follows various TCM systems developed by other doctors in the history, but also have their own contributions to the development of the TCM. Their contributions complete and make supplementary to the whole TCM. For example, Dr. Li Dongyuan developed the Spleen-stomach theory; Dr. Zhu Danxi developed Yin-nourishing theory. Dr. Wang Qingren developed the way to solve blood stasis condition. Dr. Chen Shaodong contributed to the treatment of external damage (trauma). Dr. Fu Qingzhu contributed to the treatment of disorders in the male and female system. Dr. Zhang Xichun contributed to the treatment of later stage diseases, in which the patient’s condition is very complex and the treatment becomes very difficult. Dr. Zheng Qing contributed to the use of herb Fuzi in the treatment of various diseases. There are many famous TCM doctors in Chinese history. For the treatment of some diseases, their herbal formulas work better than the Shanghan Lun style, so that their formulae are still popularly used in current days. This style is developed from the TCM text book that is still used in China and out of China currently. The TCM text book is a mixture of the TCM literatures and styles from various sources. It is not developed by a single doctor or a group of doctors in the history, but edited by a group of western medicine doctors in about 1950s’, who wanted to learn TCM and wanted to make the TCM easier to learn. It is pretty much as a mixture of Chinese food, Indian food, Italian food, and French food, all in one dish. This style follows the Organ diagnosis and Qi, Blood, Yin, Yang, Phlegm…diagnosis system. It pays more on the tongue diagnosis and pulse diagnosis. It focuses to use “safe” herbs for the treatment, so that it dares not to use “stronger” herb, those of which are used commonly in Jing Fang style. For the understanding of herbal function, this style follows the book from Dr. Li Shizheng Ben Cao Gang Mu. It also pays more attention to the use of meridian-guiding herbs in a herb formula (the guiding herbs brings the rest of herbs working in a specific part of the body). In practice, doctors in this style usually use only the harmonizing therapy, warming therapy, cleaning therapy and supplying therapy, but less the sweat therapy, vomiting therapy, or colon-cleansing therapy. They tend to use less strong herbs for the treatment, such as Mahuang, Shigao, Dahuang or Fuzi, etc. The herbal formulas prescribed by the TCM doctors of College style tend to use more than ten, even twenty or thirty herb ingredients in a single formula. Each amount of the ingredient is also usually very high. It can reach 20 grams, 30 grams, or even more. They tend to solve all the problems of a patient at the same time, while to make the patient feels as less discomfort (side effect) as possible from the herbal therapy. In clinic, the healing effect from the College style of TCM is low and largely variable among doctors (compared with the Jing Fang style). The doctors usually tell patients to take the herbal tea for one week, or ten days, then come back to check the effect of the herbal therapy. Once the herbal formula does not work, the doctor usually has no clear ideas what to do next. The textbook TCM is easy to learn from beginning, but difficult to feel success in later clinic work. This is because of the weakness of the current TCM textbook. For example, if there is a patient suffering from cough, the TCM textbook teaches the student to diagnose if the cough is due to Wind-cold cough, Wind-fire cough, Wind-dryness cough, or Phlegm-accumulating in lung, Phlegm-fire in lung, Liver-fire attacking the lung, or due to the Lung Yin deficiency condition. The textbook lists only one or two herbal formula for the treatment of each of these different cough conditions. Therefore, it is easy for student to remember how to diagnose and how to treat the cough condition. It seems that, a cough condition, either caused by external Xieqi attack, or inner reasons. If it does not belong to Wind-Cold cough, Wind-dryness cough, it should belong to the Wind-fire cough. The symptoms among each kind of the cough conditions are so clear for the diagnosis. This makes students feel that no disease that TCM cannot solve, because the diagnosis is so clear and the herbal formula should work – they usually think so. However, in practice, many patients have no others symptoms, except cough. We may not get more evidences from the tongue or pulse to support diagnosis. Such cough occurs spontaneously but can last for several weeks or months. In this case, the diagnosis is not so easy at all – I believe so. We tried all of the herbal formulas that are listed in the textbook, none worked. If there is no healing effect, or the cough was not improved at all, what should be next step? What should we do? The textbook did not teach us. Furthermore, if the patient has, cough, dizziness, pain in joints, frequent urination, etc all together. All the symptoms are equally severe. How should we decide the main symptom for the treatment? Should we treat all of them the same time, or one after another? The textbook did not give us more education. In addition, if there some side effects from a herbal formula that is recommended in the textbook, what does that side effect means (what the side effect implies to us)? How to prevent such side effects? The textbook did not include such clinic experience. Apparently, the textbook only give us a very basic knowledge about Traditional Chinese medicine. It introduces too less knowledge for TCM doctor to work in clinic. If we do not recognize this, and if we believe that we have already learnt everything about TCM, and refuse and have no desire to continue update our knowledge after graduation, it would be easy for us to feel failure in TCM practice. If such failure happens again and again, we cannot prevent from claiming that TCM cannot solve any disease! We would be ready to adapt the western medicine in our clinic thereafter or even completely quit form the TCM. Wouldn’t you think this is the fact? The introduction above is only some of the TCM styles. They contributed to the development of TCM more or less. Even for the textbook style of TCM, it helps to introduce the basic knowledge to student. In clinic, none of the styles are the perfect, but as a TCM practitioner, we must first understand how to practice the Jing Fang style. Without such basis, no one can be a TCM expert. In TCM history, almost all the famous TCM doctors are at least the expert in the Jing Fang style.